According to Prevention magazine, http://www.prevention.com/homepage, locking eyes with your dog produces the happiness hormone, oxytocin, in your bloodstream. Various studies have implicated ox­y­to­cin, which is pro­duced by the pi­tu­i­tary gland at the base of the brain, in human and animal bond­ing be­hav­ior. Ex­pe­ri­ments have found that just sniff­ing ox­y­to­cin will in­crease a per­son’s trust­ful­ness of others. 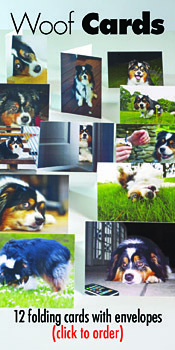 A group of Japanese scientists measured oxytocin levels in dog owners’ urine after the owners spent several minutes gazing at their pets.The investigators found in­creases in the hor­mone lev­el that were highly cor­re­lat­ed to “the fre­quen­cy of be­hav­ior­al ex­changes in­i­ti­at­ed by the dog’s gaze,” according to the re­search jour­nal Hor­mones and Be­hav­ior (December 2009) http://www.journals.elsevier.com/hormones-and-behavior. 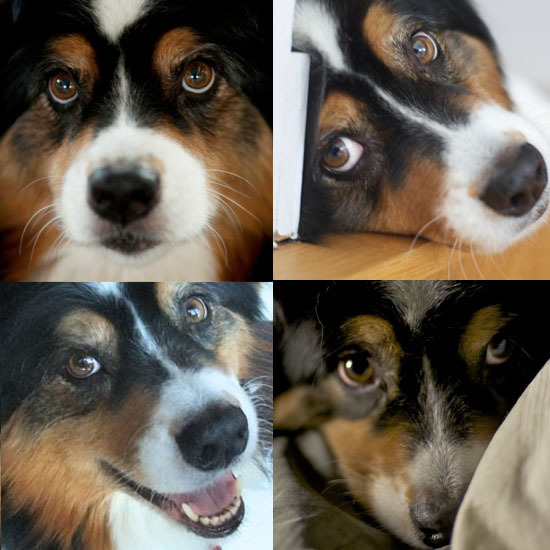 Here is a sampling of the soulful gazes that make my owners melt.